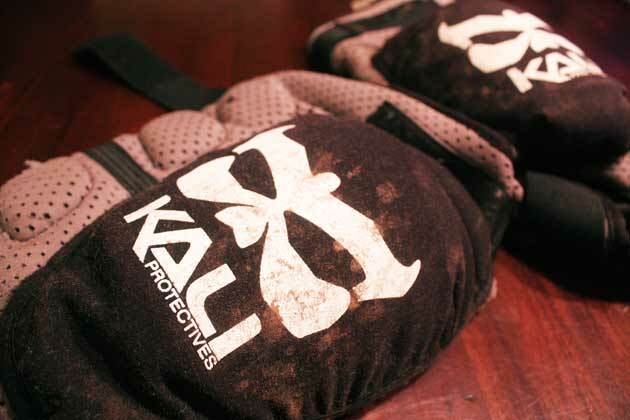 Kali was one of the first companies to offer a soft knee-guard that could truly be pedaled in all day without feeling like you'd strapped some kind of semi-fashionable torture device to your knee. I'm talking about the Aazis pads that you see here—a product which has weathered the years without going through major re-designs. The competition has, however, caught up of late. There are now plenty of comfortable pad options for the picking. How do the Kali's hold up to the latest crop from Fox, RaceFace, Nukeproof, 661, Scott, etc.? Let's start with the basics: the centerpiece of the pad is a tough plastic shell that's covered in Kevlar and which fends off direct blows to your knee cap like some kind of Tonya Harding-thwarting guardian angel. I've taken countless hits to the knee with these things and have pedaled away from them all with a smile on my face. The Aazis work well for those direct impacts. Three small foam pads protect each side of your knee–the actual coverage, however, is less than what you’ll find on some other pads these days. I’d like to see this portion of the Aazis beefed up a bit. The Aazis also feature three small foam pads on either side of the knee that are designed to shield the tender bits along the sides of your knees. While I've never found them wanting in the field, I haven’t taken any major blows to that part of my leg. 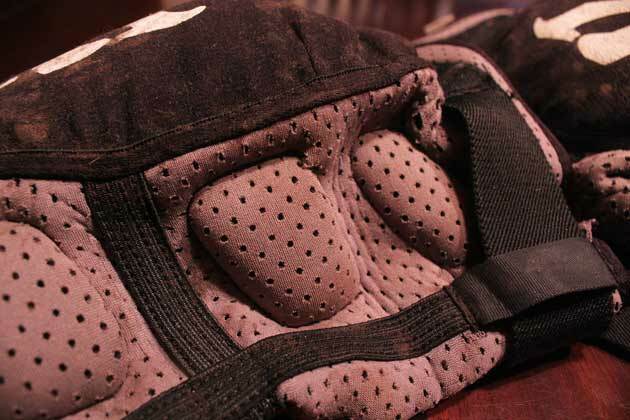 More to the point, there's no doubt that a good many other pads have greater side coverage than Kali's Aazis and if that bit of ligament protection is absolutely paramount to you, you should check out some other options. In short, they haven't let me down here, but I run plenty of other pads that offer greater overall coverage. As far as comfort goes, the Aazis are still some of the best pads on the market. They generally stay where you velcro’d them into place, they don't bunch up as you pedal and they don't chew up the back of your knee during extended spins. They also breathe better than the vast majority of pads out there. On hot days, that's a real blessing. The Kali Aazis might just be the most comfortable pad for hot- weather riding. 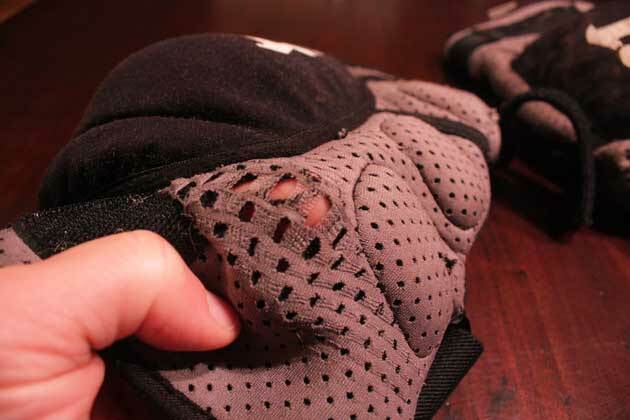 The breathable chassis, however, tends to wear out and tear more easily than less breathable/more durable pads on the market. Of course, there's a flip side to the awesome breathability—the pads breathe so well because much of the chassis is constructed from a perforated material that tends to wear out (and eventually tear) over time. I've got two seasons on my set and it's clear that the perforated material is beginning to give up the ghost for real. In short, the Kali Aazis are still contenders, but they are no longer the only game in town. Not by a long shot. Comfort is still outstanding and direct hits to your knee won't faze you while wearing these things, but side protection is a bit lacking and the chassis isn't as durable as some of the other pads you can buy.